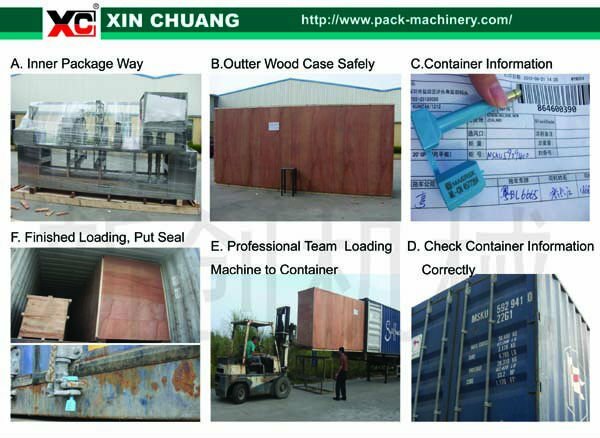 cover with the film and pack in a wooden case then up to a 20 foots container. 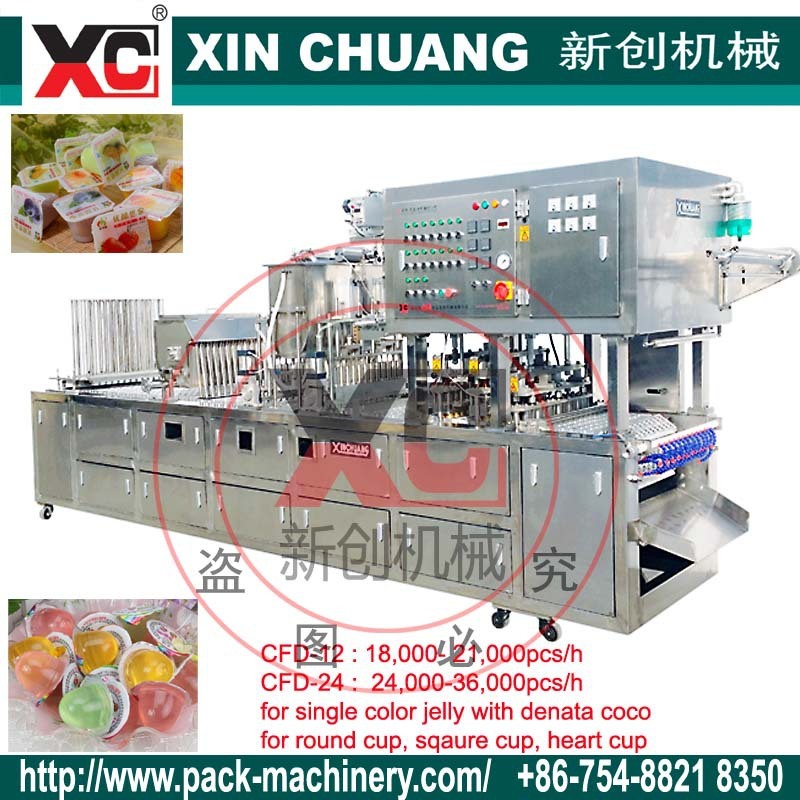 All new design.The packaging machine specially designed for Jelly cup auto filling and sealing. 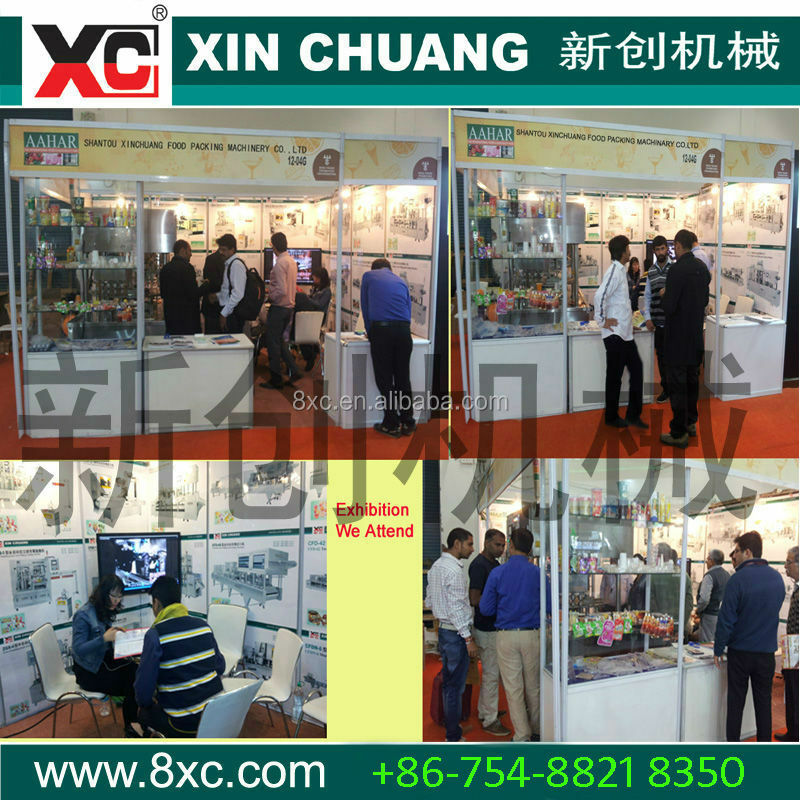 Famous brands electrics parts: Siemens, OMRON. 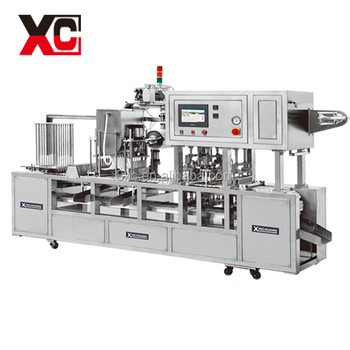 Famous brands pneumatic parts: Mitsubish, Fuji, Festo, Airtac etc. less maitain, lower noisy, high speed. 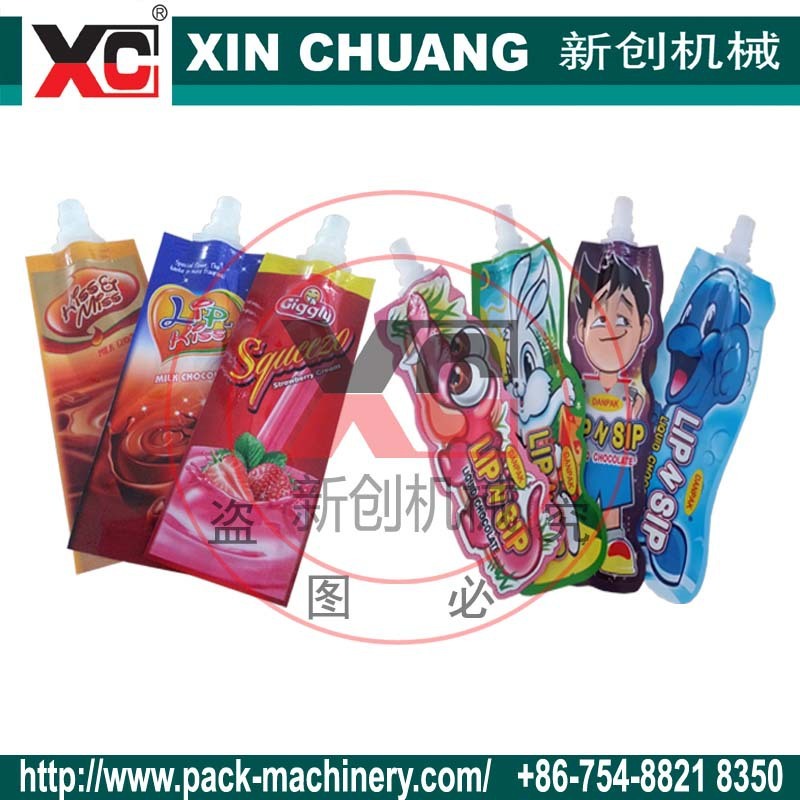 Suitable packing materials: Nyln film/metalized film/Alumium film. 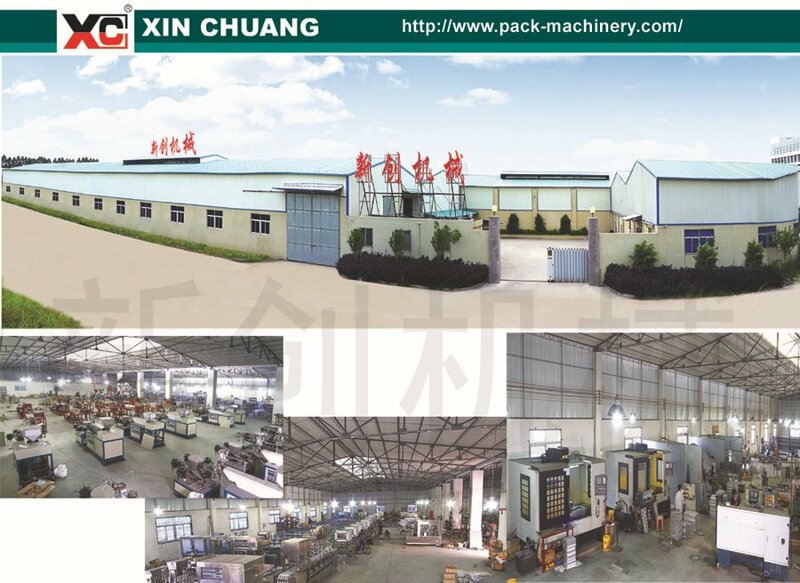 Welcome to visit our factory any time ! !